Insulation is your blanket to keeping you warm in the winter, whilst in the summer it becomes your shield preventing heat entering your home. It therefore makes sense that your home has roof insulation installation that not only meets the building code requirements, but will keep you cosy and be your shield. The R value of insulation is the standardised measurement at how well insulation restricts heat flow, ie. How well it works. In ceiling insulation, the Building Code of Australia (BCA) specifies that insulation installation be a minimum R4 rated for Perth homes. However, this can differ depending on the colour of the roof, as well as any presence of Anticon. We recommend for Perth homes that a minimum of an R5 insulation product is used in conjunction with whirlybirds. Whilst slightly more expensive (approximately $3 – $5 per metre), it is generally up to 25% more effective year round when compared to the R4 rated batt. In terms of the maximum R value achieved by insulation installation, it’s recommended to go no further than the R6 rated batt. With 40% of your heat transfer going through the ceiling, once this level of R value is achieved your next step would be to look at wall insulation. Insulation installation has changed over the years, from traditional wool insulation through to fibreglass batts. Take a look below at the different types of insulation installation products we offer. Fibreglass is one of the most common insulation installation materials used today. Made from 80% recycled glass, the thin glass fibres provide millions of tiny air pockets that trap air and restrict heat flow through the batt. Unlike the stigma associated with “fibreglass” of decades ago, we recommend using the Bradford Gold range. These fibreglass batts are Australian made, come with a 70-year warranty and most importantly have the tick of approval from the Asthma Foundation. The batts range from R2 all the way through to the R7 range. Just like your pillow or quilt, polyester is a common material used for insulation installation. 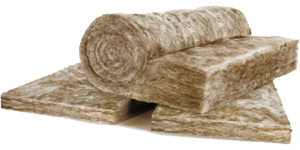 The polyester batts provide the perfect insulation for allergen sufferers as they are free of volatile organic compounds (VOC), low allergen and are soft to handle. The polyester offers an alternative to fibreglass, whilst still coming in batts ranging from R2 to R4. Here at Perth Insulation we can design insulation installation for your home to assist with keeping your climate control costs to a minimum. We can offer you an obligation free insulation quotation to all customers and invite you to call us today. By insulating your home you can reduce your climate control energy costs by up to 60%, with the price of power on the rise what seems like every month it makes smart sense to invest in quality insulation which can often be repaid in savings in a matter of years. Contact us now for your free insulation installation quote. We service all areas of Perth Western Australia and have a fast turn around; meaning you wont be waiting for weeks and weeks.